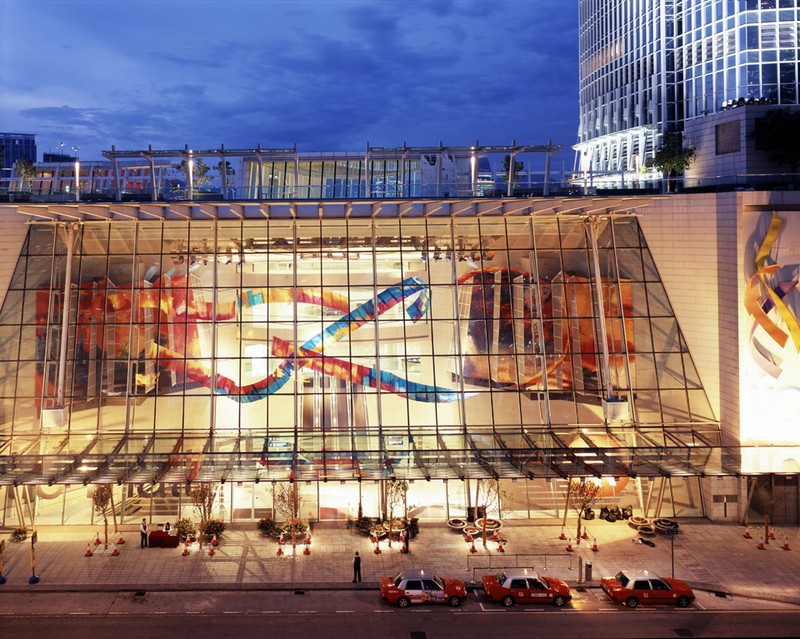 RFC 2 Hong Kong Station serves as a transportation hub for the city of Hong Kong and boasts a very large art installation supported by the roof structure. 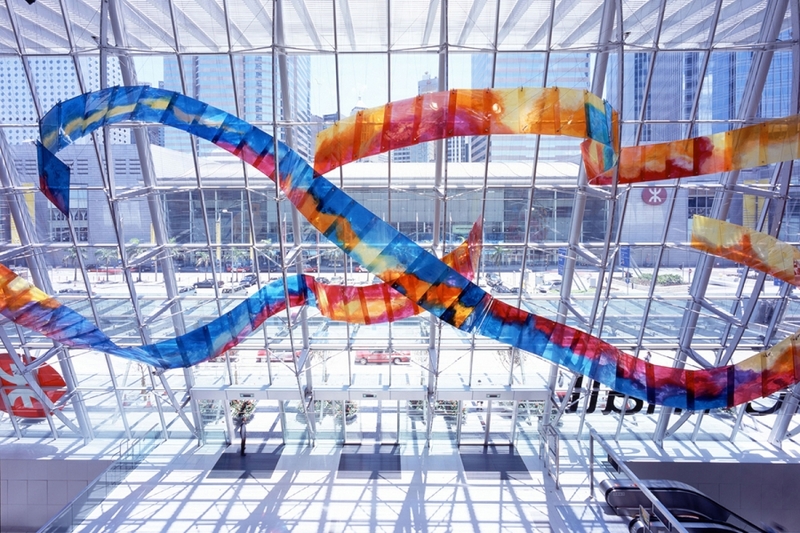 Miyamoto International provided creative engineering solutions that took into consideration seismic, wind and gravity testing at the connections for this lightweight art work. 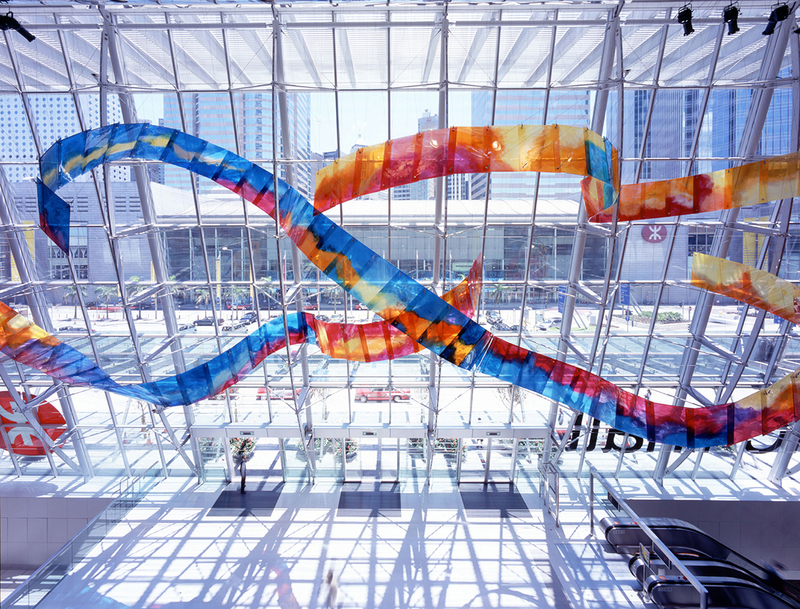 In collaboration with Mark Dziewulski, “Dancing Ribbons” is a massive glass suspension sculpture located in the International Finance Center II in Hong Kong, China. 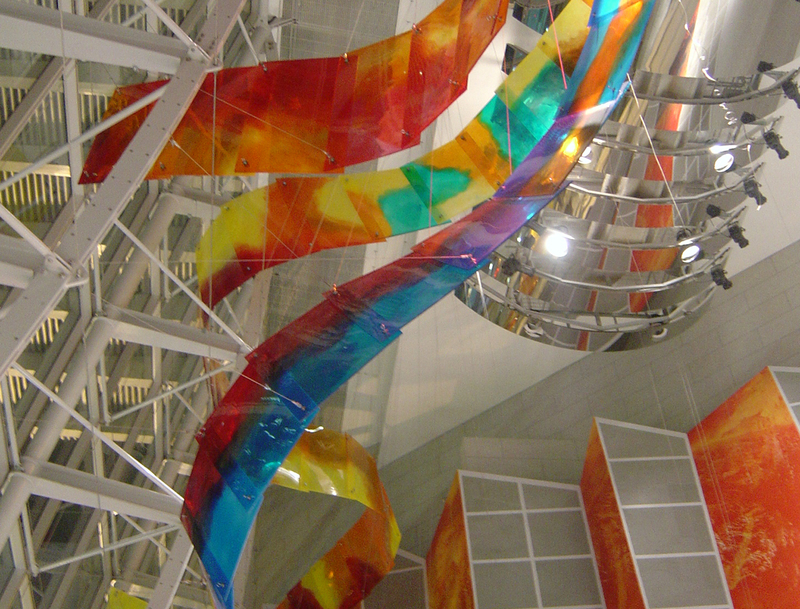 Based on modern Chinese ribbon dancing, the sculpture serves to welcome the international visitor to the space. 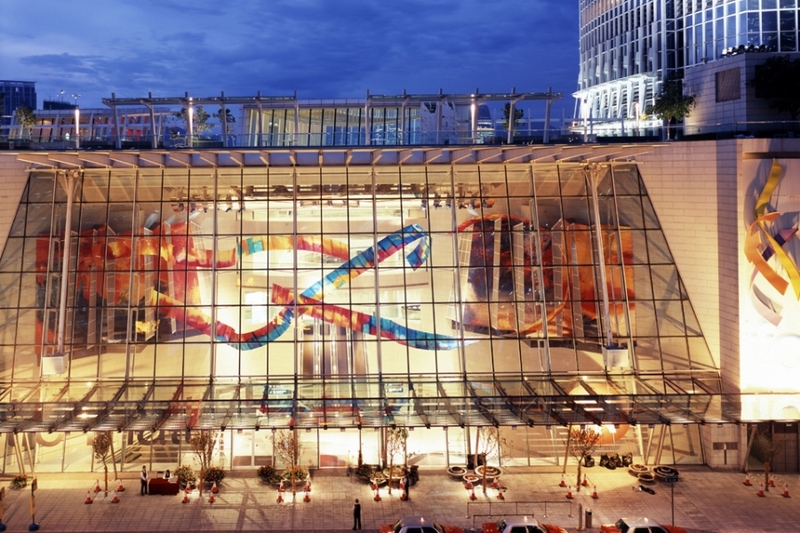 The many colors and the interweaving of the ribbons with the structure is representative of the many world cultures that collaborate within the building. 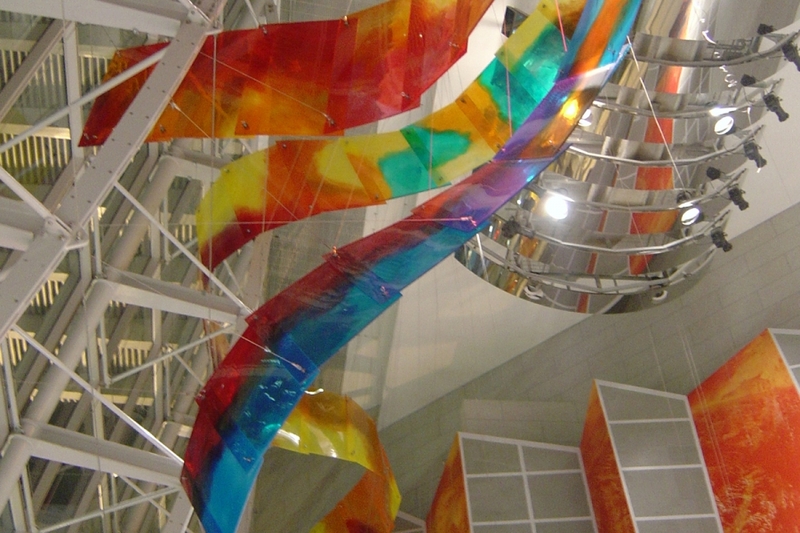 Miyamoto also provided construction oversight during installation.